Nowadays, the dynamics of global competition requires companies to generate new forms of management to meet market demands, who brings a wave of gifted competitors’ cutting-edge products and supported by innovative business concepts, whose rate of improvement has rendered obsolete the traditional management models. Also, this business reality is characterized by not being respecting tradition, antiquity, much less the status of companies, by the contrary, demands reinventing them, going off the comfort and facing to compete with unique and differentiated forms. Similarly, tourism companies are faced with this enormous challenge that requires them to understand how to develop innovation capabilities from within. However, the heterogeneous and complex activities of tourism companies block the objective study of innovation from the empirical and theoretical part (Rodríguez, 2009). This is because some years ago, tourism sector was considered little or no innovative because its operation and organization tasks consumed only innovations from the manufacturing sector, indicating its inability to generate innovations themselves. However, recent contributions indicate that innovation in tourism companies should be studied and treated differently by presenting particular characteristics, showing that the tourism sector plays an important role in the use and generation of innovations that enable efficient management of resources, generation competitive advantages and value creation (Hjalager, 2010). •the development of theories of innovation in tourism. Also, Dornan and Moufakkir (2015) have identified investigations that by their nature and conditions make complex their study and difficult the categorizing of their contributions. In the reviewed studies show that sustainability and use of Information and Communications Technology (ICT) are the most common means for introducing innovations in companies and tourist destinations. Both states of art show that innovation in tourism, is a vast subject and therefore difficult to contain; in these contributions is recognized that the progress of innovation in tourism has spread in political and educational areas that concern and interest to companies. Hence the importance of clarifying how companies innovate and what are the challenges to reach competitiveness. For this reason, this paper makes a literature review in order to analyze the current state of innovation in tourism companies. The article is divided into five sections. The first addresses the implications of innovation in tourism companies. The subsequent section refers to the methodology followed for the search, selection and analysis of research; after the results according to the main topics in innovation in tourism companies are presented. Subsequently, the contributions in the Mexican context are presented. Finally, the conclusions and future research lines are showed. 2. Innovation in tourism companies: Where are they? Although innovation as a business issue dates back to 1934 with the proposals of economist Joseph Schumpeter, have reemerged studies with greater momentum, caused by the interest of all types of businesses to make a competitive advantage (Calderón & Hartmann, 2010). The tourism companies face an increasingly complex and competitive environment, forcing them to adapt to the environment and to use innovation as critical factor to the survival and success (Gálvez, 2011; Gálvez & Pérez, 2012). The context of the tourism sector is marked by some peculiarities, including the sudden and constant change of profile in the tourist, who proves to be more experienced, thus making difficult to provide unique experiences with some degree of impact and fascination. In addition to this, the tourist has immediate and increased access to information and therefore is able to organize his holiday independently, while demanding tourist services sustainably managed in accordance with the economic, social and environmental dimensions, expressing his responsibility to the environment (Čivre & Gomezelj, 2015). Through the evolution of the concept of innovation, different angles to be applied are marked; and at this, service companies see opportunities for adoption. Despite recent attempts to make innovation, we need to treat service companies differently since its characteristics organizational, operational and market are different. Therefore, innovation in the services sector must be thought more broadly as the complexity to provide a service is determined by intangible, ephemeral, extremely difficult to retain and changing attributes. Given this, the term "innovation" has been increasingly used to describe the behavior of companies, destinations and tourism sector itself (Hjalager, 2002). For tourism companies innovation involves redirecting the traditional forms of management to those oriented towards innovation, i.e., in its forms of operation and organization seeking new ways to create new products, implement powerful strategies and efficiency of the tangible and intangible resources of the company (Zbigniew, 2015). So the practice of innovation in the management of tourism enterprises leads to the concept of "tourism innovation", rooted conception that relates to the pragmatic side and utility tourism production and the ontology of the attitudes of tourism and consumption of innovative products (new or adapted). It is also envisioned that innovation goes beyond inventions and simple adoption of goods and services for tourists, therefore, it is said that innovation is a strategic way of thinking oriented competitiveness and value creation (Dornan & Moufakkir, 2015). So innovation in tourism involves walking towards a new management corresponding to increased competitiveness, efficiency and resource efficacy, value creation and development of unique collaborators capabilities and chairing of leadership and innovation culture, not only organizational but also market level. Similarly, it is essential to identify the project as a mechanism that makes it possible to capture ideas and take advantage of them when they become innovations (Sánchez, García & Mendoza, 2015). The company should focus on incremental improvements and learning processes that lead to changes in organizational culture and participation in all areas of the organization to emancipate the development of innovation and lead to increases in productivity, competitiveness and growth (Cruz & Puente, 2012; Sánchez et al., 2015). Therefore, the question to be resolved is to indicate where are the companies in terms of innovation, i.e., discover and analyze what has been done in research on innovation in this sector, thus for countries in terms of competitiveness the tourism represents the entry of income and economic stability; on the other hand, know where the tourism companies are going will identify future challenges for developing innovation in tourism. The study chose a content analysis, which purpose was to examine the articles regarding topics of innovation of tourism enterprises (hotels and restaurants). The sources were scientific journals of tourism, business management and economic-administrative studies considering databases ScienceDirect, Taylor & Francis, EBSCOHost and REDALYC which meet rigorous criteria for evaluating the content of work (peer review), plus maintaining a thematic, chronological and international coverage, which guarantees the inclusion of high-quality content related to the field of study. The analysis procedure consisted of three phases, in the first one articles were filtered based on criteria of relevance as addressing the issue and present (texts registered in the period 2008 to 2015). It is noteworthy that were excluded prefaces, letters to the editor, reviews and book reviews. For this stage, the search words were innovation (primary word) and its combination with secondary words (tourism, restaurant, food, hotel and accommodation) and tertiary (management, business, company, firm, industry, technology and entrepreneurship), contained in title, abstract or keywords. As a result 20 journals in tourism were found and 30 specialized in business management and economic and administrative studies (Table 1), of which 78 publications were selected. Finally, a search of publications outside the above data bases was conducted, in order to meet more fully the situation of tourism companies in the Mexican context. Organizational innovation has been characterized by the application of knowledge to meet the needs of the companies, it determines how a brilliant idea is put into practice in order to gain an advantage in the organizational structure; i.e., new ideas align with the rethinking of organizational activities, so that the business can boost its market value and improve their competitive level (Souto, 2015). In general, research on organizational innovation is related to aspects such as innovation capabilities, organizational culture, personality, leadership, entrepreneurship and creativity; as well as organizational barriers that are treated as limitations of the innovation process. Organizational aspects also are related to the size and membership of a group, therefore, larger and integrated companies are those that come with a higher degree of formalization in its procedures and organizational routines, something that can be positive for innovation. This entails harmonizing a number of factors that are involved with the internal operation, providing members of the organization the opportunity to learn, improve and contribute to the innovation process. Also, the size and membership of a chain or corporate business enables companies to have better access to resources and capabilities, such as qualified personnel, financial resources and access to information (López, Serrano & Gómez, 2009; Martínez & Vargas, 2015). Another approach to organizational innovation states that technology alone does not imply a benefit, therefore, needs to be managed to lead innovation capacities, these are strategically developed through dependencies organizational path that stimulates and drives the behavior in response to changes in context (Walsh, Lynch & Harrington, 2011). Among these capabilities, absorption is identified and involves some level of assimilation, transformation and exploitation of resources; although to be implemented properly in the tourism sector its design must be re-evaluated according to the nature of the services (Thomas & Wood, 2014). Another aspect identified in this research is the entrepreneurial culture that allows tourism providers meet quality standards and competitiveness to consolidate as world-class actors, hence the intra-entrepreneurial culture of each company is involved in the construction process of an organizational innovation (Gálvez, 2011). Torres and De la Fuente (2011) in their study identified a relationship between entrepreneurship and organizational innovation, where business networks, information technology and characteristics of entrepreneurs had a strong influence. With the increasing intensification of competition and fluctuations of the tourism demand increases the need for managers building creative ways for training, motivation and reinforcement of the behavior of its employees. Given this, Chen (2011) points out that organizational innovation is outlined as the corporate culture and personality of workers, such association aims an ideal place to develop new ideas and manage them through collaborative work environment, leading to a flow of knowledge and experiences towards organizational objectives. In other studies, the role of entrepreneurs and leaders is also recognized to generate the conditions that boost or strengthen innovation in their business. The role of the leader influences the generation of organizational innovation, to act as mediator between the organization and its members, establishing the conditions for growth and business improvement (Stilling, 2009). In addition, leaders have mastery of change and foster innovation within their teams, and seen from the tourism sector this is essential then organizational innovation requires intense human activity, which depends on the commitment of workers and continuous improvement (Iorgulescu & Sidonia, 2013). In the same vein, Teodorescu, Stăncioiu, Răvar and Botoș (2015) and Bascavusoglu, Kopera and Wszendyby (2013), recognize in their research the importance of creativity, which as input from the human mind has become indispensable in the process of organizational innovation; so the creativity of workers and entrepreneurs come into measurable results in high levels for troubleshooting. Their results show that creative workers are more open to cooperation in the creation and development of innovative ideas for the organization; even creating a unique experience for both their employees and their customers (Rusu, Isac & Cureteanu, 2013). There is a line of studies that address the barriers that tourism companies face in achieving organizational innovation, Najda and Kopera (2014) research determines that often caused by internal inefficiencies, for example, the many inconsistencies in the selection, implementation and modes of operation. Therefore, it is assumed that organizational barriers are related to the process or system of innovation that has been implemented by adoption or imitation, and does not generate a profit to the company, but on the contrary, tends to aggravate the investments of shareholders. Other research warns that due to the lack of motivation to innovate, because in some cases, the innovations implemented by managers are not gratified by customers, employees and shareholders; making leaders stop worrying (Iorgulescu & Sidonia, 2013). It also identifies the lack of skilled labor, lack of commitment by staff and financial mismanagement are elements that limit organizational innovation; that prevail there is a risk of increasing costs, maintaining low performance in providing services and reach customer dissatisfaction (Melo & Meira, 2014). Most of researches of this category highlights in the extent that organizational innovation is founded in the organizational culture, personality, leadership, entrepreneurship and creativity; the emergence and promotion of other types of innovation will come inherently. The studies identified on innovation strategies are classified into four sub-themes: market strategies, strategic alliances, innovation policies and pro-environmental strategies. Regarding to those who address market strategies, they have been able to visualize innovation as means to attract new market niches, improve their positioning, create value and competitive advantages in their products (goods or services), achieving internationalization, as well as avoid strategic drift. Innovation strategies play a central role in driving economic performance of the company, to be designed to position the brand, retain customers and create value in products, therefore, it is desirable that every company conceived in its strategic planning the development of innovations that are geared to the needs and demands of the market (Grissemann, Plank & Brunner, 2013; Nicolau & Santa, 2013). Given this, González (2011) mentions that open innovation processes and decision-making in tourism companies, is used as a facilitating tool in the entry and positioning in the tourism market; suggesting a system based on the management of organizational capital (human, structural and relational) and external agents. Such a system can promote the internationalization of a company, as strategy is to take action on the current situation, that is, pay attention to changes of competitors and seek sources of knowledge to help the reconfiguration of the innovation system to encourage participation in global tourism markets (Williams & Shaw, 2011). •the culture of innovation, which is the basis for the generation of creative and successful solutions by staff to achieve cost reduction and improve the quality of service; thus ensuring greater market share (Dwyer & Edwards, 2009). The second subcategory includes studies addressing strategic partnerships to drive innovation; they warn that companies in the tourism sector should encourage partnerships with external entities, including universities, government agencies, companies in other sectors and interest groups. Since the formation of strategic alliances with larger companies, it has to develop innovative technological-based knowledge projects, which promote technological collaboration ecosystem since its invention and application. Also, creating competitive advantages for each collaborative group, encourages the development of innovation in a locality or region and impacting the local economy (Pansiri & Courvisanos, 2010; Ivars, Vera & Acebal, 2014). The link between companies with educational institutions and government, also stimulates and substantially improves innovation in the tourism sector, especially strengthening resources, including human. Given this, Parng, Chen and Chung (2014) indicate that the required training of workers should be related to the use of information technology and communication as a strategic system for learning and generating innovation. In restaurants companies there have been identified as sources of innovation the ideas from staff, cooperation with colleagues, relations with universities or external experts, ideas from competition, attendance at fairs, cooking workshops, exhibitions and customer feedback. In general, this pattern shows that the connection with external sources of information is necessary to achieve innovation activities, demonstrating that innovative chefs have greater sensitivity to external sources of information and research from cooperative relations with universities; therefore sources and strategic alliances are key to the development of innovation (Albors, Barreto, García, Martínez & Hervás, 2013) Then, innovation in the tourism sector depends heavily on strategic alliances that companies have with tourism schools, which create value and competitive advantage through knowledge sharing (Parng et al., 2014). Another subcategory is referred to studies on policies that drive innovation in the tourism sector. In this regard, there are researches (Iordache, 2015; Ivars et al., 2014; Gökovalı & Avcı, 2012) demanding public incentives to encourage innovation in the tourism sector and that results in improving their competitiveness. Policies that are necessary for sustainable development for the economy and tourism companies, therefore, should integrate the promotion of high quality education, improved working conditions, higher wages, and training for the use of new technologies, among others (Gökovalı & Avcı, 2012). However, Ivars et al. (2014) make it clear in his research that the implementation of these measures is also conditioned by a number of barriers experienced by the tourism sector to promote innovation; including lack of financial resources, local unfavorable infrastructure (technological), little interest in working with government agencies and academic centers, bias between public calls and the real needs of companies; which together lead to the inability to acquire knowledge (technological and scientific) to innovate and to address market changes; from this flowers the need to design policies adapted to the characteristics of the tourism sector (Aguilar, Herrera & Clemenza, 2012). •develop strategies needed to achieve transport links (Iordache, 2015). However, it should be considered that the tourism sector starts from a disadvantage situation compared to other productive sectors, for that reason, policies are more advanced instrument that can integrate all the complexity of the system of tourism stakeholders for the development of a region innovation (Ivars et al., 2014). •projection of time in an action plan (Dibraa, 2015). For the implementation of such pro-environmental strategies, must exist backup mechanisms capable of creating an intelligent system that facilitates decision-making in turbulent markets. Therefore, tourism businesses should invest in learning skills before the development of innovative environmental strategies. Undoubtedly, be proactive in this area involves the application of complex modifications of various functions such as operating practices, design (infrastructure), organizational behavior and customer education. Some benefits are reflected in cost reduction, energy saving and quality of the service provided (Fraj, Matute & Melero, 2015). Also, pro-environmental innovations are based on the change of equipment and machines (lighting, hydraulic pipes, energy sources, etc. ), as well as the assimilation of new knowledge to improve ecological conditions (Pace, 2015). There can even arise considering the perception of customers about innovations, specific factors companies, environmental technologies, regulations and pro-environmental certifications, and consider the possibility of using technology transfer for the purpose of promoting innovation capacity and competitiveness of small businesses in the tourism sector (Velázquez & Vargas, 2014). Product innovation is to design and market launch of a new improved product or service to attract consumer attention and whose novelty is apparent to both the manufacturer or supplier, and consumers (Albu, 2015). On the other hand, process innovation is the production of specific changes in the internal orientation of the company, aspects which contribute to increase the performance of operations, issues relating to the use of existing new and improved technologies, or replace an old production line with a new one (Albu, 2015). Although the diffusion of innovation among small tourism companies has a low propensity for development of new products and processes (Tejada & Moreno, 2013), the studies identified in this line converge on innovation in products and processes is more common in restaurant companies than in other companies, this because of its hybrid nature of operation, i.e., is made up of two parts, one operative similar to industrial companies, and other, of service where the customer is involved in the process (Albors et al., 2013; Tüzünkan & Albayrak, 2015; Pellegrin & Leszczyńska, 2013; Ottenbacher & Harrington, 2009). The restaurants are considered an important part of the tourism system, attract customers and boost the competitiveness of the sector, therefore, product innovation is directed towards customer satisfaction through the application of cooking techniques and developments in food services. For example, useful applications of molecular cuisine are to innovate dishes, impacting positively on the perception of quality and pleasure of customers in restaurants (Tüzünkan & Albayrak, 2015), as well as creating new dishes based on traditional or contemporary cuisine, special minimalist designs and alternative ingredients such as sugar substitutes, vegetable-based gels, etc. (Albors et al., 2013); demonstrating that innovation in culinary products enhances profitability while generating an attraction (Tüzünkan & Albayrak, 2015); also the culinary product cannot be separated from the innovation process, as it is the result of this and the complex assembly of the supply chain (Pellegrin & Leszczyńska, 2013). For the tourism sector, the rise in the culinary supply improves food quality, flexibility of food preparation, the efficiency of operations (kitchen), service quality dining, compliance with regulations and standards food service, reducing losses and increasing customer (Albors et al., 2013). Therefore it is not surprising to talk of culinary innovation, a concept that has been developed by Michelin star chefs or innovation leaders as Ferran Adrià. This innovation has been defined as an experimental process that involves giving a new idea that is aimed at solving problem, an idea that initially probably is not well structured, but over time, teamwork, learning and dissemination is strengthened. It is also considered that innovation drives produced from a kitchen transformation of tacit knowledge into unique competitive advantages for chefs, highlighting the importance of learning in this context (Albors et al., 2013). •marketing (Ottenbacher & Harrington, 2008a; Ottenbacher & Harrington, 2008b). ities (Ottenbacher & Harrington, 2009; Ottenbacher & Harrington, 2008b). This situation makes innovation of a product moves from a simple operational process to more complex one that involves analyzing the existing social, cultural and institutional interactions in the environment where the restaurant company offers its services process. Innovation processes depends on the internal routines of the company, where the permanent organization of working groups and experimentation procedures should give more autonomy in decision making of managers (Martínez, Tamayo, Gamero & Romero, 2015). It should be noted that innovation in processes is distinguished in the innovation process, while the first is related to providing a service or improve the operational circuit of a company, the second integrated technological elements for any type of innovation (Barbosa & Dominique, 2012). Some examples of process innovations in restaurants include vacuum cooking, vacuum drying products, teas, vacuum treatment, the use of nitrogen, etc. (Albors et al., 2013). Therefore, it is considered that process innovation aims to be an option for tourism companies by providing greater complexity and benefits in a highly competitive sector (Damian & Suárez, 2015; Lu & Tseng, 2010). Moreover, both product innovation and process, are affected by the level of depth and range of participation of the business, i.e., knowledge (tacit and explicit) of workers, relations with suppliers, and customers feedback impact the way of providing the service and its concept (Ottenbacher & Harrington, 2008b). Other barriers include lack of expertise to create or invent something, lack of time and attitude for its development, financing or external support, legal barriers, and economic profile of the customer, who often cannot afford a new service that requires an extra cost (Den Hertog, Gallouj & Segers, 2011). Lin, Chiu and Huang (2012) show in their research that another big mistake of small establishments is mimic operating patterns from chain companies or franchises that have greater resources and fully protect their innovation systems; causing that the copycat companies face technological breakthroughs that will lead to inefficiency productive. On the contrary, it is recommended that small companies to innovate in products and process build learning networks to improve their disadvantage, through the exchange of knowledge. Another topic addressed by technological innovation researches is the technological innovation where the Information and Communication Technology (ICT) is aimed to the promotion, distribution and marketing of tourism products. Such studies are future tools for competitiveness in a tourism market that will require the intensive use of technologies (Puccio & Grana, 2008). •security in electronic payment for a package tour (Găzdac, 2009). In addition, from empirical studies, it has been shown that the use of different ICT has a few effects on the level of competition as well as in the increase of productivity. Meanwhile they have positive effects on increasing the market share of the companies; therefore its ability to lead local businesses to global markets is potential, because promotes the releasing of new products and in the improvement or introduction of new processes (Aramendia & Ollo, 2013). In big companies, ICT have a wider use and because of this, the innovation structures are more formal and far-reaching, also they stimulate the work practices and human resource management. Moreover, the product offering is radically innovative through the use of the Internet for operating activities and marketing that benefit the increasing of earnings and the resources optimization , especially the human, that encourage the collaboration to innovate (Torrent, Ficapal, Boada & Vigil, 2015; Miltchev & Neykova, 2015). In smaller companies, ICT stand out by producing a positive effect on innovation in processes such as making improvement plans, formalization of procedures and the incorporation of employees in the generation of new ideas (Torres & De la Fuente, 2011). In addition, these small tourism companies can expand their horizons penetrating new niche markets because they have the opportunity to create their own websites, taking in consideration that this is the future of marketing communication through the Internet. This helps in the handling of information, creation of a brand image, getting a direct answer and even more creating virtual product experiences (Gallouj & Leroux, 2011). It seems that the implementation of ICT in tourism companies help to increase their capacity of innovate business services. Furthermore, e-tourism has proven to be an important tool for the development of small companies (Gallouj & Leroux, 2011). The impact of such technological innovations will depend, in general, not only by its inventors, but also by the creativity of potential users of new technologies (Gallouj & Leroux, 2011). Therefore, both tourists and tourism company managers are more interested in exploiting the application of innovation and the use of the ICT to create new services that attend the digital demands of consumers or technology customers (Farsani, Sadeghi, Shafiei & Sichani, 2015). Therefore, the development of ICT, especially the Internet and its application in companies allow to establish links between tourism service caterers and consumers capable of generate changes that may affect the structure of the tourism distribution system (Berné, García, García & Múgica, 2011). ICT become differentiating tools in restaurant companies; it affects restaurants by base its service on the variety of menus and quality, it is essential to maintain the flow of information and, in this sense, business applications tend to facilitate interaction with customers, suppliers, employees (through e-hiring) as well as cost savings and efficiency in information systems. However, such benefits have only been found in chain and high-level restaurants, that different from small restaurants, invest in high-end technologies as a strategy to distinguish itself in the market (Ruiz, Gil & Berenguer, 2014). Some tested ICT have become attractive for customers, which provide quality and vanguard to the employer companies; among these technologies are the ones called Near Field Communication (NFC), a type of wireless technology that does not require physical contact and facilitate processes and activities for both tourists and members of organizations. Among these activities, there are front desks, payment services, and non-physical travel documents, travel guides, tracking facilities and events, virtual coupons, loyalty cards, among others that require only a mobile phone. Such technologies are accepted successfully in a small number of companies, stating that a high degree of specialization is required for its use. Also, companies that bet for such innovations are perceived by customers as avant-garde, futuristic and really competitive (Pesonen & Hoster, 2012). Velázquez and Vargas (2015b) indicate that technological innovations have plenty of room in the hotel industry; its main sources are in the technological surveillance and competitive intelligence, key tools for competitiveness and innovation of companies, due to the speed of development and dissemination of technologies and knowledge worldwide. They allow the organization to collect, analyze and publish accurate information according to the needs of the company, allowing the design of strategies, development of new products or services, and the introduction or modification of processes, among others. Thus, the adoption of new technologies in tourism companies will not institute a substantial break in the way that they offer their services but will cause an evolution of the current operating model. Knowledge and its management are recognized as a strategic asset that offers competitive advantages in companies. Studies of this category argue that tourism is a knowledge-based due to the recent evolution of information, processing, production, transfer and exchange of knowledge that have brought effects in their processes of organization, operation and interaction (Yiu & Law, 2014). However, innovation does not depend on the amount of knowledge that go around, but the use made of it, allowing high levels of competitiveness (Ponce & Alabart, 2015). Other researches take elements of information and knowledge that come from personnel, technology, customers and the environment, therefore, knowledge management is the use of information and knowledge to become capacities for innovation and competitiveness (Simaro, Tonelli & Carús, 2012; Nieves, Quintana & Osorio, 2014; Shaw & Williams, 2009). The level of knowledge managed inside the organization, external social relations and efforts to collaborate with people, have influence on the different types of innovation (product, process and marketing), this means that companies focus their efforts toward assimilation and sheltered knowledge to turn it into capital (Nieves et al., 2014). It has been recognized that one of the elements involved in innovation is the brainpower, which is obtained through the proper management of knowledge; its main function is to create value for tourism companies (Monagas, 2012). 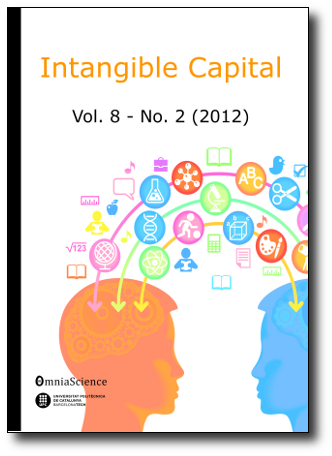 One of these capitals is the human that as intangible, valuable, hidden and difficult to imitate and plays an important role in achieving innovation in non-intensive service companies in hard technologies (Nieves et al., 2014; Rivero & Rastrollo, 2013). In this way, companies can be more successful in developing innovations by investing in human capital and establish systems that enable the integration of knowledge of the different members of the organization. Moreover, relations with specialists, such as consultants and researchers, are a management tool that work teams can use to promote new management practices, processes and structures (Nieves & Segarra, 2015). •promoting companies to worldwide economies (Gökovalı & Avcı, 2012). Meanwhile, the application of knowledge management in operational areas such as kitchens is limited, but there is evidence to implement it as an element of innovation in the developing of new ways to make production processes efficient, reduce operating costs and to develop workers' skills to make explicit their own knowledge (tacit) in favor of the company (Ponce & Alabart, 2015). For this reason, there is a need to train human resources to manage intangible resources such as knowledge, through technology-based skills and polyvalent profiles (Cerezo & Guevara, 2015). On the other hand, when there is a knowledge gap between users and suppliers, the intermediary agencies tend to play an important role in facilitating the absorption of knowledge, especially in the case of SMEs. Thus, political responsible people will have to evaluate not only the type of knowledge available in the system of science applicable to this sector, but also the relationship of intermediate agencies, and even the university itself, with hospitality companies (Martínez et al., 2015). One of the barriers that restaurant companies face to bring activities of knowledge management and technology is the stubbornness to change, resistance to the use of new technologies and lack of motivation of workers, caused because the company does not use knowledge as a resource that can provide opportunities of competitiveness (Perez, Leal, Barceló & León, 2013). Similar to this, there is a serious lack of collaboration and insufficient knowledge transfer from universities and research centers that reduces the effect of supporting business innovation (Martínez et al., 2015). Besides this, for the tourism sector there is negative influence for the registration of patents and intellectual property, advising to revise the legal system of protection of knowledge applicable to this sector because it cannot be considered equally with other sectors (Martínez et al., 2015). The studies include integrative models that want to combine the characteristics of entrepreneurs, networking creation, technology development and care of the environment, to achieve business innovation as a key factor in the competitive success of small and medium tourism companies (Gomezelj, 2015). At the same time, they attach innovation as an ability to create value in the services provided by companies, which result in incomes and market positioning. However, sometimes the customer perceptions tend to be vague and contradictory, making difficult decisions of making changes in favor of innovation in tourism services. In consequence, new models of business innovation have offered reasoning certain criteria its monitoring, evaluation and feedback, such as infrastructure capacity, assimilation and knowledge transfer, processes reengineering, market research, R & D and technology management; offering to improved performance, productivity and quality services, while reducing risks and operations costs (Tsenga, Lin, Lim & Teehankee, 2015). On the other hand, the models from the food industry have been adopted by restaurants; however, there are some limitations between the generic product, the innovation processes and their applicability in "real time", demanding managers to seek new alternatives. Because of this need, it is suggested to create more interdisciplinary organic models that integrate planning strategic actions, marketing considerations, food science and prospects of culinary knowledge that achieves a more accurate representation of management and its processes (Ottenbacher & Harrington, 2008a). For example, Eriksen (2015) provides a model for tourism and food small companies presenting a new way of working strategically with the "innovation experience", i.e., motivation and cooperation of all members of the group to generate, select and develop new ideas for problem solving, creation of new forms of services, etcetera. Also to frame such ideas with their capabilities, organizational DNA, measurement mechanisms and available resources for development feasibility. •the classification of companies with similar innovation activities. Considering the previous mentioned aspects, it can built tools to help managers to monitor and evaluate the entire innovation process, therefore, a company that acts in the correct time and form, can take the lead through its capacity response to innovate in the market (Krizaj, Brodnik & Bukovec, 2014). Finally, the evaluation models refer to the success of the innovation process of a tourism company is influenced by the organizational structure of the company, its size, category of the company, productivity, origin of capital and income per room (Rodríguez & Brown, 2012). However, the base of the models of innovation has been including more components that are significant. These models are not limited by traditional business activities, but that also seek to create benefits from environmental balance as the model of eco-innovation for service companies founded from the basis of technological surveillance, whose ideas states that innovation activities should be in harmony with environmental care, achieving a competitive business advantage (Velázquez & Vargas, 2015b). Mexico's participation in the publishing of studies in international journals is reduced compared to other countries (Spain, United States, Germany and Slovenia) (Velázquez & Vargas, 2014, 2015a; Damian & Suárez, 2015; Perez et al., 2013; Rodríguez & Brown, 2012; Corona, Zágarra & Ruíz, 2015; Corona & Zágarra, 2014; Caro, Leyva & Vela, 2011). In order to know the situation of innovation of Mexican tourism companies, an additional search of researches (period 2008-2015) was performed, finding another seven articles published in journals (arbitrated). These studies have also assessed innovation as a factor of business competitiveness in hotels, restaurants and travel agencies; but the relation with other variables were also identified: competitive advantages, innovative culture, customers and market research; in which elements of technology management served as indicators of the variable competitive advantages, and about this, there were greater significance (Corona et al., 2015; Corona & Zágarra, 2014). Moreover, Rodríguez and Andrade (2011), through the construction of three indicators that assess organizational capacity acquired by tourism companies, evidence that technological innovations help to generate organizational innovations, in special patenting and marketing. Later, the same authors propose an assessment of the innovation process in lodging establishments, where again they found that the use of ICT encouraged organizational innovations. Also, was founded a strong association between innovation and the size and category of hotels, being the largest and most luxurious who showed more innovation capabilities (Rodríguez & Andrade, 2012). In the strategic use of technology resources, the strong need of hotels to implement ICTs as a strategic mechanism to compete; because they provide necessary elements to change and improve the offer of services, adjust the demand, customer information (profiles), as well as designing new products that improve their loyalty to increase profitability. It should be noted that a determining factor for innovation is the staff, which must be trained and develop skills for the appropriate use of ICT (Caro et al., 2011). Studies show that Mexican companies especially restaurants are not interested in being innovative or they do not know the benefits of innovation. Therefore, fall under unfavorable practices to improve their competitiveness, such as don not develop new culinary products and food services, do not have a database of current providers (Ceballos, Narváez & Cuellar, 2011), do not be aware of what their competitors are doing and generate market research strategies to attract new customers. To conclude, there is a lack of knowledge about the market in which they compete, resulting in negative impacts on their rates of quality, service and competitiveness (Díaz, Tamayo & Cabral, 2011). At this, Mexican researchers encourage reflection about innovation as a key issue for tourism sector competitiveness, and when is developed and applied, its noticeable different from the industrial sector (Rodríguez, 2009; Rodríguez & Bedolla, 2010). Similarly, they have found an opportunity to innovate through pro-environmental actions that strengthen the competitiveness of the tourism sector through the management of intangible resources in synergy with new technologies to create value (Velázquez & Vargas, 2015b). Finally, researches about innovation in tourism companies for Mexico, represent an enormous challenge to encourage, develop and applied; and further, when the written information on the subject is not enough. However, this should not be a cause for despair, but it is an opportunity for progress for those involved (for example entrepreneurs, researchers, consultants, public managers, future professionals, among others), in order to take advantage of the situation, developing new forms of innovation and being recognized in the field. 6. Conclusions and future lines of research: Where do they go? Innovation as a field of study has been the subject of global researches, although just a small amount has been applied to the field of tourism companies. After a review of the sources of information about innovation in the tourism sector, they are not only notorious theoretical concepts, but there is empirical evidence that demonstrates its application of innovation in different ways: organizational, products and processes, strategies, technologies, knowledge and models. Most of the studies are English publications that explore the effects of organizational innovation and its competitiveness. These works express the concern of achieving innovative companies, to consider them fundamental pillars of the economic development of the society. The most discussed topics are around organizational innovation and innovation strategies; these studies focus on internal and external characteristics of companies to satisfy the needs of the organizational structure and the market. From this perspective, the tourism industry has been characterized by its stability as a priority in the market through marketing strategies and entailment with other entities. Is important that innovation as a strategy is related to pro-environmental actions, which aim to create competitive advantages by caring nature, offering benefits such as cost reduction in energy supplies, water saving, and be conceived as companies environmentally responsible, being this an attractive for customers. Researches on innovations in products and processes have a notorious application in restaurant companies, which have offered innovative culinary products, which not only attract clients, but also give an extra to get a full tourist experience. Innovations are internal factors (knowledge, skills, experience, technological equipment, etc.) and external, highlighting the cultural, social and environmental context of the company. Among the contributions that address technological innovation, ICT stand out as enabling tools of information for the development of ideas; pointing its importance in the future, where tourism as an economic sector will focus on intensive use of such technologies, therefore training in ICT is essential for the development of skills of workers and entrepreneurs. The involvement of knowledge management to generate innovation shows studies that analyze that as long as the managed knowledge of an organization be more important, capabilities and intellectual assets also will increase, which will affect value-making companies and generate unique and inimitable competitive advantages. The category that refers to models is still poorly addressed; however, contributions integrate innovative activities to operate business-oriented through a competitive advantage scheme focus on create value, take advantage of intangible resources, encourage the development of ideas and implement actions that do not endanger natural environment. •acquire innovations of others, and if they are generated, they are considered weak (Rodríguez & Bedolla, 2010). Focus on environmental care, competitiveness of the tourism sector is attributed to the innovation capacities (Velázquez & Vargas, 2015b), where success depends on the use of intangible resources in synergy with new technologies to create competitive advantages. The participation of Latin American studies on innovation in tourism in international journals recognized for their quality is recent and low compared to other countries such as Spain, United States, Germany or Slovenia. In particular, there is a great need for long-term research to Mexico, who has important tourist destinations for world-class customers, and therefore innovation must be achieved as a competitive requirement. In order to discover and strengthen innovation capabilities in restaurant companies and making a prospective facing the challenges of lack of competitiveness, it is proposed to investigate the different sources of innovation that can have companies, and their engaging directly with the tourism system. Several studies set the culture of business innovation to encourage innovative behavior of members of an organization. However, it also requires studying the role of entrepreneurs and leaders in the promotion and involvement of this culture inside the organizations. To establish innovation from both internal and external factors requires a study that involves double analysis of the (internal and external) environment of the organization, in order to understand the motivations and determinants that contribute to innovate in a tourism company. In this regard, competitiveness and inclusion of technological resources from other sectors are new issues for tourism development. There is not enough research about the relationship between small tourism companies with government, universities and community, with the purpose of create networks or promoting innovative ecosystems and also to know the collaboration factors involved in innovation and competitiveness of a region (quadruple helix). In addition, these studies may include digital platforms as tools for collaboration and information exchange, in which entrepreneurs could benefit themselves from the information to improve their innovation practices and seek alliances with potential investors and business partners. It also requires the study of public policies that encourage innovation in the tourism sector and especially in small companies, with the purpose of having more opportunities to develop their innovations and protect them. These policies should include aspects of infrastructure, entailment with other sectors, as well as pro-environmental aspects. In the reviewed studies is observed in general, a low level of evidence about technological surveillance and competitive intelligence as a tool to promote innovation in tourism companies. They have valuable information for the decision-making or generate methodological proposals, they have not been considered yet in studies of this field of knowledge; especially the identification of knowledge gaps between what operates in the tourism sector and what exists at the base of patents and intellectual property. Finally, observing a persistent relationship between innovation and technology, it is proposed to do research on technology management, which is referred as an interdisciplinary field that is responsible for explain and understand the development of an innovative phenomenon in companies. These companies use technological resources, which are not only physical artifacts such as machines, equipment and tools, but also takes in consideration intangible or soft technology, including knowledge, skills and practical experiences of organizations, with the elemental purpose of maximize the innovative capacity of companies and improve the competitiveness of their region. Aguilar, G., Herrera, L., & Clemenza, C. (2012). Capacidad de absorción en operadores turísticos: Estructura y determinantes de éxito en marketing y en la innovación. Omnia, 18 (3), 106-128. Albu, C.E. (2015). Tourism: Innovation and competitivity. The case of Egypt. Journal of Tourism - Studies and Research in Tourism, 19(19), 54-59. Aramendia, M.E., & Ollo, A. (2013). ICT Impact on tourism industry. International Journal of Management Cases, 15(2), 87-98. Barbosa, B.M., & Dominique, S. (2012). Innovación en los procesos. Diferenciación en los servicios turísticos. Estudios y Perspectivas en Turismo, 21(4), 963-976. Bascavusoglu, E., Kopera, S., & Wszendyby, E. (2013). The role of creativity in development of innovation in tourism. Journal of Entrepreneurship Management and Innovation, 9(1), 5-15. Berné, C., García, M., García, M.E., & Múgica, J.M. (2011). La influencia de las TIC en la estructura del sistema de distribución turística. Cuadernos de Turismo, 28, 9-22. Calderón, M.G., & Hartmann, D. (2010). Una revisión del pensamiento evolucionista y el enfoque de los sistemas de innovación. Una perspectiva del caso latinoamericano. Revista Universitaria Digital de Ciencias Sociales, 1(1), 2-18. Caro, M.J., Leyva, C.E., & Vela, R. (2011). Calidad de las tecnologías de la información y competitividad en los hoteles de la península de Yucatán. Contaduría y Administración, (235), 121-146. Ceballos, S., Narváez, M., & Cuellar, J. (2011). La innovación en las microempresas restauranteras de la Costa Yucateca. XIII Congreso Nacional y VII Internacional de Investigación Turística SECTUR/ICTUR, 1-13. Cerezo, A., & Guevara, A. (2015). Necesidades formativas tecnológicas en turismo. Estudio de caso: Andalucía. PASOS Revista de Turismo y Patrimonio Cultural, 13(4), 913-929. Corona, E., & Zárraga, L. (2014). La innovación como factor de competitividad en las empresas turísticas en Cancún, Quintana Roo, México. Revista Internacional de Administración & Finanzas, 7(6), 15-25. Corona, E., Zárraga, L., & Ruíz, J.G. (2015). Innovación en el sector turismo de Cancún: Evidencias empíricas. Revista Internacional de Administración & Finanzas, 4, 95-105. Cruz, M.L., & Puente, R. (2012). ¿Hay verdadera innovación en los lanzamientos de nuevos productos? Factores relevantes de éxito y fracaso en el caso colombiano. Estudios Gerenciales, 28 (Especial), 263‑280. Díaz, J., Tamayo, J., & Cabral, R. (2011). Problemática percibida en la gestión del negocio por MIPYMES restauranteras de Playa del Carmen, México. XIII Congreso Nacional y VII Internacional de Investigación Turística SECTUR/ICTUR, 1-11. Gálvez, E.J. (2011). Cultura intraemprendedora e innovación: Un estudio empírico en las MYPIME turísticas colombianas. Cuadernos de Administración, 27(46), 103-114. Găzdac, R.M. (2009). Turism si tehnologie. Review of Management & Economic Engineering, 8(3), 147-153. Gökovalı, U., & Avcı, M. (2012). The role of human capital and collaboration with academia for innovation in hospitality sector: the case of Mugla. PASOS Revista de Turismo y Patrimonio Cultural, 10(2), 77-84. González, R. (2011). La innovación abierta en las empresas turísticas extremeñas como herramienta de entrada en el turismo de negocios. PASOS Revista de Turismo y Patrimonio Cultural, 9(4), 489-502. Iordache, C. (2015). Innovation in tourism - between desideratum, development and braking. Strategic policy innovation. Romanian Journal of Marketing, 1, 51-66. Ivars, J.A., Vera, J.F., & Acebal, A. (2014). Políticas de innovación en turismo y clusters: La percepción gerencial en el programa agrupaciones empresariales innovadoras (AESi). Cuadernos de Turismo, 33, 97-120. López, M.C., Serrano, A.M., & Gómez, R. (2009). La decisión de innovar de las empresas turísticas: Un análisis empírico de la industria hostelera. Investigaciones Europeas de Dirección y Economía de la Empresa, 15(3), 176-183. Lu, I. Y., & Tseng, C. J. (2010). A study of the service innovation activities of tourist hotels in Taiwan. International Journal of Organizational Innovation, 3(1), 156-172. Martínez, A.M., & Vargas, A. (2013). Factores con un especial impacto en el nivel de innovación del sector hotelero español. Tourism & Management Studies, 9(2), 7-12. Melo, P., & Meira, R. (2014). Implementação de ações inovadoras e empreendedorismo: Estudo de múltiplos casos em empresas hoteleiras de pequeno porte. Caderno Virtual de Turismo, 14(2), 183-203. Miltchev, R., & Neykova, M. (2015). The impact of technological innovations on the sustainability of the e-business systems of organizations operating in the tourism sector. Tourism in Southern and Eastern Europe, 3, 223-233. Monagas, M. (2012). El capital intelectual y la gestión del conocimiento. Ingeniería Industrial, 33(2), 142‑150. Parng, B.C., Chen, M.K., & Chung, T.T. (2014). Innovation and alliance effects for tourism industry in Taiwan. International Journal of Organizational Innovation, 6(3), 199-209. Pellegrin, F., & Leszczyńska, D. (2013). Dynamic tourism supply chain assembly: A new lever for managerial innovation. Supply Chain Forum: International Journal, 14(1), 28-40. Ponce, A.A., & Alabart, Y. (2015). Programa de gestión del conocimiento para el área de cocina de un hotel. Retos Turísticos, 14(2), 1-15. Rivero, M., & Rastrollo, M.Á. (2013). Innovación, capital intelectual y capital social territorial: Enfoques clave para el éxito de la empresa turística en el nuevo entorno socio económico. Revista Venezolana de Economía Social, 13(25), 9-33. Rodríguez, F. (2009). Una reflexión teórica sobre la innovación en el sector turismo. Revista Nicolaita de Estudios Económicos, 6(2), 9-26. Rodríguez, F., & Andrade, M.A. (2011). Método para la valuación empírica del proceso de innovación en los establecimientos de servicios turísticos. Revista Nicolaita de Estudios Económicos, 6(1), 63-86. Rodríguez, F., & Andrade, M.A. (2012). Valuación diagnóstica de la innovación en el sector hotelero de Michoacán, México. Revista Nicolaita de Estudios Económicos, 7(1), 25-45. Rodríguez, F., & Bedolla, J. (2010). Una propuesta de conceptualización del proceso de innovación en los servicios turísticos desde la visión evolucionista de la firma. Revista Nicolaita de Estudios Económicos, 5(1), 89-109. Rodríguez, F., & Brown F. (2012). El proceso de innovación en el sector de alojamiento turístico mexicano. Estudios y Perspectivas en Turismo, 21(3), 372-387. Rusu, S., Isac, F., & Cureteanu, R. (2013). Innovation, tourism and entrepreneurship. Lucrari Stiintifice, 15(4), 187-190. Simaro, J.D., Tonelli, O.E., & Carús, L. (2012). Gestión de intangibles en PyMES turísticas. Un caso de aplicación de las directrices MERITUM. Estudios y Perspectivas en Turismo, 21, 249-269. Stilling, B. (2009). Innovation and Entrepreneurship in Tourism: The Case of a Danish Caravan Site. PASOS Revista de Turismo y Patrimonio Cultural, 7(3), 415-431. Teodorescu, N., Stăncioiu, A.F., Răvar, A.S., & Botoș, A. (2015). Creativity and innovation - Sources of competitive advantage in the value chain of tourism enterprises. Theoretical and Applied Economics, 22(1), 35-48. Torres, C., & De la Fuente, H. (2011). Determinantes de la innovación en empresas de turismo en Pucón - Chile. Panorama Socioeconómico, 29(42), 24-42. Velázquez, J.A., & Vargas, E.E. (2014). Ecoinnovación en turismo: Una aproximación al estado de la cuestión. Gestión y Ambiente, 17(1), 197-201. Velázquez, J.A., & Vargas, E.E. (2015a). De la innovación a la ecoinnovación. Gestión de servicios en cadenas hoteleras. Revista Venezolana de Gerencia, 20(70), 268-281. Velázquez, J.A., & Vargas, E.E. (2015b). Gestión de la innovación: Como alternativa sustentable para las empresas de servicios. Ide@s CONCYTEG, 10(125), 21-32. Walsh, M., Lynch, P., & Harrington, D. (2011). A capability-based framework for tourism innovativeness. Irish Journal of Management, 31(1), 21-41. Zbigniew, Z. (2015). Innovation development in regional tourism enterprises. Tourism in Southern and Eastern Europe, 3, 489-501. Objeto: El presente trabajo realiza una revisión de literatura con el propósito de analizar el estado actual de la innovación en empresas turísticas y así conocer las futuras líneas de investigación sobre el tema. Diseño/metodología/enfoque: El estudio optó por un análisis de contenido, cuyo propósito fue examinar los artículos de revistas científicas de turismo, gestión empresarial y estudios económico-administrativos, considerando las bases de datos ScienceDirect, Taylor & Francis, EBSCOHost y REDALYC. El procedimiento consistió en la filtración de los artículos a partir de criterios de pertinencia como abordaje del tema y actualidad (textos inscritos en el período 2008 a 2015). Como resultado se encontraron 78 publicaciones que con base en matrices de contenido bibliográfico se analizaron y clasificaron según su perfil temático. Por otra parte, se realizó una búsqueda de publicaciones externas a las bases de datos antes mencionadas, con el fin de conocer la situación de las empresas turísticas del contexto mexicano. Aportaciones y resultados: La revisión muestra que los artículos se concentran en seis grandes categorías: a) innovación organizacional, b) estrategias de innovación, c) innovación de productos y procesos, d) innovación tecnológica, e) gestión del conocimiento en la innovación, y f) modelos de innovación. La mayoría de los estudios se dan en el contexto de hoteles y restaurantes. Mostrando que la innovación en empresas turísticas es un tema de estudio emergente que permitirá fortalecer el desarrollo y la competitividad del propio sector. Originalidad / Valor añadido: Representa una aportación novedosa al brindar información de cómo se ha tratado el tema de innovación en el contexto de las empresas turísticas -hoteles y restaurantes-, además de ofrecer un panorama general de la investigación realizada en México sobre el tópico, resultando atractivo para la comunidad académica y empresarial. En la actualidad, la dinámica de la competitividad global exige a las empresas a generar nuevas formas de gestión para enfrentarse a las demandas del mercado, quien trae consigo una oleada de competidores dotados de productos vanguardistas y soportados por novedosos conceptos de negocio, cuyo ritmo de perfeccionamiento ha dejado obsoletos a los modelos de gestión tradicional. Asimismo, esta realidad empresarial se caracteriza por no estar respetando la tradición, antigüedad y mucho menos el estatus de las empresas, por el contrario, demanda la reinvención de las mismas, saliéndose del confort y enfrentándose a competir con formas únicas y diferenciadas. De la misma manera, las empresas turísticas se enfrentan con este enorme desafío que les exige comprender cómo desarrollar capacidades de innovación desde su interior. Sin embargo, las actividades heterogéneas y complejas de las empresas turísticas, impiden el estudio objetivo de la innovación desde la parte empírica y teórica (Rodríguez, 2009). Esto se debe a que hace algunos años, el turismo se consideró un sector poco o nulo innovador, debido a que sus tareas de operación y organización sólo consumían innovaciones procedentes del sector manufacturero, connotando su imposibilidad para generar innovaciones por sí mismas. No obstante, las aportaciones recientes indican que la innovación en empresas turísticas debe estudiarse y tratarse de manera diferente al presentar características particulares, evidenciando que el sector turístico juega un papel importante en el uso y generación de innovaciones que permiten la gestión eficiente de recursos, generación de ventajas competitivas y creación de valor (Hjalager, 2010). •el desarrollo de teorías de innovación en turismo. Asimismo, Dornan y Moufakkir (2015) han identificado investigaciones que por su naturaleza y condiciones hacen complejo su estudio y difícil la categorización de sus aportaciones. En los estudios revisados evidencian que la sostenibilidad y el uso de las Tecnologías de la Información y la Comunicación (TIC) son los medios más recurrentes para la introducción de innovaciones en las empresas y destinos turísticos. Ambos estados del arte muestran que la innovación en turismo, es un tema extenso y por tanto difícil de contener; en estas aportaciones se reconoce que el avance de la innovación en el turismo se ha extendido en ámbitos políticos y de educación que competen e interesan a las empresas. De ahí la importancia de dilucidar cómo las empresas innovan y cuáles son sus desafíos para llegar a la competitividad. Por tal razón, el presente trabajo realiza una revisión de literatura con el propósito de analizar el estado actual de la innovación en empresas turísticas. El artículo se estructura en cinco apartados. El primero aborda las implicaciones de la innovación en empresas turísticas. El apartado consecuente hace alusión de la metodología seguida para la búsqueda, selección y análisis de las investigaciones; después se presentan los resultados de acuerdo con los principales tópicos en materia de innovación en empresas turísticas. Posteriormente, se plantean las aportaciones en el contexto mexicano, para finalmente, presentar las conclusiones y futuras líneas de investigación. 2. Innovación en empresas turísticas: ¿En dónde están? A pesar que la innovación como tema empresarial data del año de 1934 con las propuestas del economista Joseph Schumpeter, han resurgido estudios con mayor ímpetu, ocasionado por el interés de todo tipo de empresas para hacer de su uso, una ventaja competitiva (Calderón & Hartmann, 2010). Las empresas del sector turístico se enfrentan a un ambiente cada vez más complejo y competitivo, obligándolas a adaptarse al entorno y recurrir a la innovación como un factor crítico para la supervivencia y el éxito (Gálvez, 2011; Gálvez & Pérez, 2012). El contexto del sector turístico está marcado por algunas particularidades, entre ellas, el repentino y constante cambio del perfil del turista, quien demuestra estar más experimentado, dificultando así la posibilidad de brindarle experiencias únicas con cierto grado de impacto y fascinación. Adicional a esto, el turista cuenta con inmediato y mayor acceso a la información y, por ende, es capaz de organizar sus vacaciones de forma independiente, al mismo tiempo que exige servicios turísticos gestionados de manera sostenible, en conformidad con las dimensiones económicas, sociales y ambientales, expresando así su responsabilidad con el entorno (Čivre & Gomezelj, 2015). A través de la evolución del concepto de innovación, sobresalen sus diferentes ángulos para ser aplicada; y ante esto, las empresas de servicios ven oportunidades para su adopción. A pesar de los recientes intentos por realizar innovación, hace falta tratar a las empresas de servicio de manera diferente ya que sus características de organización, operación y de mercado son distintas. Por tanto, la innovación en el sector servicios debe de pensarse de manera más amplia ya que la complejidad para ofrecer un servicio está determinada por atributos intangibles, efímeros, difíciles de retener y extremadamente cambiantes. Ante esto, el término “innovación” ha sido progresivamente utilizado para describir el comportamiento de las empresas, de los destinos y del propio sector turístico (Hjalager, 2002). Para las empresas turísticas la innovación implica re-direccionar las formas de gestión tradicional hacia aquellas orientadas a la innovación, es decir, que en sus formas de operación y organización busquen nuevas alternativas para crear novedosos productos, implementar potentes estrategias, así como de la eficiencia de los recursos tangibles e intangibles de la empresa (Zbigniew, 2015). Así la práctica de la innovación en la gestión de las empresas turísticas da lugar al concepto de “innovación turística”, concepción arraigada que se relaciona con el lado pragmático y utilitario de la producción turística, así como de la ontología de las actitudes de turismo y el consumo de productos innovadores (nuevos o adaptados). Asimismo, se vislumbra que la innovación va más allá de invenciones y de la simple adopción de bienes y servicios para los turistas, por tanto, se dice que la innovación es también una manera estratégica de pensar orientada a la competitividad y creación de valor (Dornan & Moufakkir, 2015). Entonces, la innovación en turismo implica caminar hacia una nueva gestión que corresponda al aumento de competitividad, eficiencia y eficacia de los recursos, creación de valor y desarrollo de capacidades únicas de los colaboradores, así como de presidir de un liderazgo y cultura de innovación, no sólo organizacional sino también a nivel mercado. De igual manera, es imprescindible identificar al emprendimiento como un mecanismo que hace posible captar las ideas y sacar provecho de éstas cuando se transforman en innovaciones (Sánchez, García & Mendoza, 2015). La empresa debe centrarse en mejoras incrementales y procesos de aprendizaje que conlleven a cambios en la cultura organizacional y de participación en todas las áreas de la organización para emancipar el desarrollo de la innovación y ocasionar incrementos en la productividad, competitividad y crecimiento (Cruz & Puente, 2012; Sánchez et al., 2015). Por consiguiente, la cuestión a dilucidar es indicar en dónde se encuentran las empresas en términos de innovación, es decir, descubrir y analizar que se ha hecho en materia de investigación sobre innovación en este sector, ya que para los países en términos de competitividad el turismo representa la entrada de ingresos y estabilidad económica; por otra parte, conocer hacia dónde están yendo las empresas permitirá identificar los futuros desafíos para desarrollar innovaciones en el turismo. El estudio optó por un análisis de contenido, cuyo propósito fue examinar los artículos en relación con los temas de innovación de las empresas turísticas (hoteles y restaurantes). Las fuentes fueron revistas científicas de turismo, gestión empresarial y estudios económico-administrativos considerando las bases de datos ScienceDirect, Taylor & Francis, EBSCOHost y REDALYC, quienes cumplen con criterios rigurosos para evaluar el contenido de los trabajos (evaluación por pares), además de mantener una cobertura temática, cronológica e internacional, que garantiza la inclusión de contenidos de alta calidad relacionados con el campo de estudio. El procedimiento de análisis consistió en tres fases, en la primera se filtraron los artículos a partir de criterios de pertinencia como abordaje del tema y actualidad (textos inscritos en el período 2008 a 2015). Cabe mencionar que fueron excluidos los prefacios, cartas al editor, opiniones y reseñas de libros. Para esta etapa, las palabras de búsqueda fueron innovation (palabra primaria) y su combinación con palabras secundarias (tourism, restaurant, food, hotel y accomodation) y terciarias (management, business, company, firm, industry, technology y entrepreneurship), contenidas en título, resumen o palabras clave. Como resultado se encontraron 20 revistas especializadas en turismo y 30 especializadas en gestión empresarial y estudios económico-administrativos (Tabla 1), de las cuales se seleccionaron 78 publicaciones pertinentes al tema. •modelos de innovación (Tabla 2). Finalmente, se realizó una búsqueda de publicaciones externas a las bases de datos antes mencionadas, con el fin de conocer con mayor amplitud la situación de las empresas turísticas del contexto mexicano. La innovación organizacional se ha caracterizado por la aplicación de conocimientos para satisfacer las necesidades de las propias empresas, ella determina cómo una idea brillante se pone en práctica con el fin de obtener una ventaja en la estructura organizacional; es decir, las nuevas ideas se alinean con el replanteamiento de las actividades organizacionales, para que el negocio pueda potenciar su valor en el mercado y mejore su nivel competitivo (Souto, 2015). En general, las investigaciones sobre innovación organizacional, se relaciona con aspectos como las capacidades de innovación, cultura organizacional, personalidad, liderazgo, espíritu emprendedor y creatividad; así como con las barreras organizacionales que son tratadas como limitaciones del proceso innovador. Los aspectos organizativos también se relacionan con el tamaño y la pertenencia a un grupo, por tanto, las empresas más grandes e integradas son las que están dotadas de un mayor grado de formalización en sus procedimientos y rutinas organizativas, aspecto que puede resultar positivo para la innovación. Esto supone armonizar una serie de factores que se involucran con el funcionamiento interno, proporcionando a los integrantes de la organización la oportunidad de aprender, mejorar y contribuir a los procesos de innovación. Asimismo, el tamaño y la pertenencia a una cadena o corporativo empresarial posibilita a las empresas tener un mejor acceso a recursos y capacidades, como son personal calificado, recursos financieros y acceso a información (López, Serrano & Gómez, 2009; Martínez & Vargas, 2015). Otro planteamiento de innovación organizacional establece que la tecnología por sí sola no implica un beneficio, por tanto, necesita gestionarse para originar capacidades de innovación, éstas se van desarrollando estratégicamente a través de las dependencias de trayectoria organizacional que estimula y conduce el comportamiento como respuesta a los cambios del contexto (Walsh, Lynch & Harrington, 2011). Entre estas capacidades, se identifica la de absorción que involucra cierto nivel de asimilación, transformación y explotación de recursos; aunque para ser implantada apropiadamente en el sector turístico su concepción debe ser re-evaluada atendiendo la naturaleza de los servicios (Thomas & Wood, 2014). Otra vertiente identificada en esta línea de investigación es la cultura emprendedora, que permite a los prestadores turísticos alcanzar estándares de calidad y competitividad para consolidarse como actores de clase mundial, por ende, la cultura intra-emprendedora de cada empresa interviene en el proceso de construcción de una innovación organizacional (Gálvez, 2011). Torres y De la Fuente (2011) identificaron en su estudio una relación entre la cultura emprendedora y la innovación organizacional, donde las redes empresariales, tecnologías de la información y características de los emprendedores tenían una fuerte influencia. Con la creciente intensificación de la competencia y las fluctuaciones de la demanda turística aumenta la necesidad de que los gerentes cimienten maneras creativas para la formación, motivación y reforzamiento del comportamiento de sus colaboradores. Ante esto, Chen (2011) señala que la innovación organizacional se delinea según la cultura de las empresas y la personalidad de los trabajadores, tal asociación tiene por meta la conformación de un ambiente ideal para desarrollar nuevas ideas y gestionarlas a través del trabajo colaborativo, conllevando a un flujo de saberes y experiencias en pro de los objetivos organizacionales. En otros estudios, también se reconoce el papel que juegan los empresarios y líderes para generar las condiciones que detonen o potencien la innovación en sus negocios. La función del líder influye en la generación de la innovación organizacional, al fungir como mediador entre la organización y sus integrantes, estableciendo las condiciones para el crecimiento y mejoramiento empresarial (Stilling, 2009). Asimismo, los líderes tienen el dominio de cambiar y fomentar la innovación dentro de sus equipos de trabajo, y visto desde el sector turístico esto es esencial, ya que la innovación organizacional requiere de la intensa actividad humana, la cual depende del compromiso de los trabajadores y de la mejora continua (Iorgulescu & Sidonia, 2013). En el mismo tenor, Teodorescu, Stăncioiu, Răvar y Botoș (2015) y Bascavusoglu, Kopera y Wszendyby (2013), logran reconocer en su investigación la importancia de la creatividad, que como insumo proveniente de la mente humana se ha vuelto indispensable en los procesos de la innovación organizacional; así, la creatividad de los trabajadores y empresarios se traduce en niveles altos y mesurables para la solución de problemas. Sus resultados demuestran que los trabajadores creativos están más abiertos a la cooperación en la creación y desarrollo de ideas innovadoras para la organización; logrando crear una experiencia única tanto para sus trabajadores como a sus clientes (Rusu, Isac & Cureteanu, 2013). Existe una línea de estudios que abordan las barreras que enfrentan las empresas turísticas para lograr la innovación organizacional, la investigación de Najda y Kopera (2014) determina que a menudo se debe por ineficiencias internas, por ejemplo, las múltiples inconsistencias en la selección, implementación y modos de operación. Por tanto, se asume que las barreras organizacionales están relacionadas con el proceso o sistema de innovación que ha sido implantado por adopción o imitación, y no genera un beneficio a la empresa, sino todo lo contrario, tiende agravar las inversiones de los accionistas. Otra investigación advierte que se debe a la falta de motivación para innovar, ya que en algunos casos, las innovaciones implantadas por los gerentes no son gratificadas por los clientes, trabajadores y accionistas; haciendo que los líderes dejen de preocuparse (Iorgulescu & Sidonia, 2013). Asimismo, se identifica que la falta de mano de obra calificada, la escasez de compromiso por parte del personal y el mal manejo financiero, son elementos que limitan la innovación organizacional; que de prevalecer se corre el riesgo de aumentar costos, mantener un bajo desempeño al prestar servicios y llegar a la insatisfacción de los clientes (Melo & Meira, 2014). El conjunto de investigaciones de esta categoría resalta que en la medida que la innovación organizacional esté cimentada en la cultura organizacional, personalidad, liderazgo, espíritu emprendedor y creatividad; el surgimiento e impulso de otros tipos de innovación se dará de forma inherente. Los estudios identificados sobre estrategias de innovación se clasifican en cuatro subtemas: estrategias de mercado, alianzas estratégicas, políticas de innovación y estrategias pro-ambientales. Respecto a aquellos que abordan las estrategias de mercado, han podido visualizar a la innovación como medio para atraer nuevos nichos de mercado, mejorar su posicionamiento, generar valor y ventajas competitivas en sus productos (bienes o servicios), alcanzar la internacionalización, así como de evitar la deriva estratégica. Las estrategias de innovación juegan un papel central para el impulso del rendimiento económico de la empresa, al estar orientadas a posicionar la marca, retener clientes y crear valor en los productos, por tanto, es conveniente que toda empresa conciba en su planeación estratégica el desarrollo de innovaciones que se orienten a las necesidades y demandas del mercado (Grissemann, Plank & Brunner, 2013; Nicolau & Santa, 2013). Ante esto, González (2011) menciona que la innovación abierta en procesos y toma de decisiones en las empresas turísticas, se emplea como herramienta facilitadora en la entrada y posicionamiento en el mercado del turismo; sugiriendo un sistema basado en la gestión de los capitales organizacionales (humano, estructural y relacional) y agentes externos. Tal sistema puede favorecer la internacionalización de una empresa, que como estrategia consiste en tomar acción sobre el panorama actual, es decir, prestar atención a los cambios de las empresas competidoras y buscar fuentes de conocimiento que ayuden a la reconfiguración del sistema de innovación para incentivar la participación en los mercados turísticos globales (Williams & Shaw, 2011). • la cultura de la innovación, que es la base de la generación de soluciones creativas y exitosas por parte del personal, para lograr la reducción de costos y elevar la calidad del servicio; garantizando así una mayor participación en el mercado (Dwyer & Edwards, 2009). La segunda subcategoría, incluye los estudios que abordan las alianzas estratégicas para impulsar la innovación, éstos advierten que las empresas del sector turístico deben fomentar colaboraciones con entidades externas, entre ellas, las universidades, dependencias de gobierno, empresas de otros sectores y grupos de interés. Desde la formación de alianzas estratégicas con empresas de mayor tamaño, se tiene el fin de desarrollar proyectos innovadores de conocimiento de base tecnológica, que propicien ecosistemas de colaboración tecnológica desde su invención y aplicación. Asimismo, la creación de ventajas competitivas para cada grupo colaborativo, fomenta el desarrollo de innovación de una localidad o región, repercutiendo así en la economía del lugar (Pansiri & Courvisanos, 2010; Ivars, Vera & Acebal, 2014). La vinculación entre las empresas con instituciones educativas y de gobierno, también estimula y mejora sustancialmente la innovación en el sector turístico, sobre todo potenciando los recursos, entre ellos el humano. Ante esto, Parng, Chen y Chung (2014) señalan, que la formación requerida de los trabajadores debe estar relacionada con el uso de tecnologías de la información y comunicación, como un sistema estratégico para el aprendizaje y generación de innovaciones. En las empresas restauranteras, se han identificado como fuentes de innovación las ideas provenientes del personal, la cooperación con otros colegas, relaciones con instituciones universitarias o con expertos externos, las ideas procedentes de la competencia, las asistencias a ferias, talleres de cocina, exposiciones y sugerencias de los clientes. En general, este patrón muestra que es necesaria la conexión con fuentes externas de información para lograr actividades de innovación, demostrando que los chefs innovadores cuentan con mayor sensibilidad a la información externa y fuentes de investigación desde las relaciones de cooperación con las universidades; por tanto, las fuentes y alianzas estratégicas son un elemento clave para el desarrollo de la innovación (Albors, Barreto, García, Martínez & Hervás, 2013). Entonces, la innovación del sector turístico depende en gran medida de las alianzas estratégicas que las empresas tienen con escuelas de turismo, las cuales crean valor y ventajas competitivas a través del intercambio de conocimientos (Parng et al., 2014). Otra subcategoría, es la referida a los estudios sobre políticas que impulsan la innovación en el sector turístico. Al respecto, existen investigaciones (Iordache, 2015; Ivars et al., 2014; Gökovalı & Avcı, 2012) que demandan incentivos públicos para fomentar la innovación en el sector turístico y que tenga como consecuencia el mejoramiento de su competitividad. Políticas que son necesarias para tener un desarrollo sostenible para la economía y las empresas turísticas, por tanto, deberían integrar la promoción de educación de alta calidad, mejoramiento de las condiciones de trabajo, aumento de salarios, y el entrenamiento para el uso de nuevas tecnologías, entre otras (Gökovalı & Avcı, 2012). No obstante, Ivars et al. (2014) dejan claro en su investigación que la aplicación de estas medidas también está condicionada por una serie de barreras que sufre el sector turístico para potenciar la innovación; entre estas se encuentran la falta recursos financieros, infraestructura (tecnológica) local poco favorable, poco interés en la colaboración con las dependencias de gobierno y centros académicos, sesgo entre las convocatorias públicas con las necesidades reales de las empresas; que en su conjunto conllevan a la imposibilidad de adquirir conocimiento (tecnológico y científico) para innovar y hacer frente a los cambios del mercado; de esto florece la necesidad de diseñar políticas adaptadas a las características del sector turístico (Aguilar, Herrera & Clemenza, 2012). •formular estrategias necesarias para lograr conexiones de transporte (Iordache, 2015). No obstante, se debe considerar que el sector turístico parte de una situación en desventaja respecto a otros sectores productivos, por tal motivo, las políticas son un instrumento más avanzado que permite integrar toda la complejidad del sistema de actores turísticos para el desarrollo de la innovación de una región (Ivars et al., 2014). •proyección de la duración o tiempo en un plan de acción (Dibraa, 2015). Para la implementación de tales estrategias pro-ambientales debe existir un respaldo de mecanismos, capaces de crear un sistema inteligente que facilite la toma de decisiones en los mercados turbulentos. Por tanto, las empresas turísticas deben invertir en las capacidades de aprendizaje antes del desarrollo de las estrategias ambientales innovadoras. Indudablemente, ser proactivo en este sector consiste en la aplicación de modificaciones complejas de varias funciones como las prácticas de operación, diseño (infraestructura), comportamiento organizacional y educación del cliente. Algunos beneficios se ven reflejados en la reducción de costos, el ahorro de energía y la calidad en el servicio brindado (Fraj, Matute & Melero, 2015). También, las innovaciones pro-ambientales parten del cambio de equipos y máquinas (de iluminación, tuberías hidráulica, fuentes de energía, etcétera), así como de la asimilación de nuevos conocimientos para mejorar las condiciones ecológicas (Pace, 2015). Incluso, pueden originarse considerando la percepción de los clientes sobre las innovaciones, factores específicos de las empresas, tecnologías ambientales, regulaciones y certificaciones pro-ambientales, así como de considerar la posibilidad de valerse de la transferencia de tecnología, con el propósito de favorecer la capacidad de innovación y competitividad de las pequeñas empresas del sector turístico (Velázquez & Vargas, 2014). La innovación de productos consiste en el diseño y el lanzamiento en el mercado de un nuevo producto mejorado o servicio para atraer la atención del consumidor y cuya novedad es evidente tanto para el fabricante o el proveedor, como para los consumidores (Albu, 2015). Por otro lado, la innovación de procesos consiste en la producción de cambios específicos de orientación interna de la empresa aspectos que contribuyen a incrementar el rendimiento de las operaciones, las cuestiones que se relacionan con el uso de las existentes tecnologías nuevas y mejoradas, o para sustituir a una vieja línea de producción con una nueva (Albu, 2015). Aunque la difusión de la innovación entre las pequeñas empresas turísticas presenta una baja propensión para el desarrollo de nuevos productos y procesos (Tejada & Moreno, 2013), los estudios identificados en esta línea convergen en que la innovación en productos y procesos se da más en empresas restauranteras que en otros giros, esto debido a su naturaleza híbrida de funcionamiento, es decir, se conforma de dos partes, una operativa similar a las empresas industriales y otra, de servicio donde el cliente es participe en el proceso (Albors et al., 2013; Tüzünkan & Albayrak, 2015; Pellegrin & Leszczyńska, 2013; Ottenbacher & Harrington, 2009). Los restaurantes son considerados una importante parte del sistema empresarial turístico, atraen clientes e impulsan la competitividad del sector, por tanto, la innovación en productos es direccionada hacia la satisfacción del cliente, mediante la aplicación de técnicas culinarias y novedades en los servicios de alimentos. Por ejemplo, se encuentran aplicaciones útiles de la cocina molecular para innovar platillos, impactando de manera positiva en la percepción de la calidad y agrado de los clientes en restaurantes (Tüzünkan & Albayrak, 2015), así como de la creación de nuevos platillos basados en la cocina tradicional o contemporánea, especiales diseños minimalistas e ingredientes alternativos como sustitutos de azúcar, geles a base de vegetales, etcétera (Albors et al., 2013); demostrando así que la innovación en productos culinarios potencia la rentabilidad del negocio, al mismo tiempo que genera un atractivo turístico (Tüzünkan & Albayrak, 2015); asimismo, el producto culinario no se puede separar del proceso de innovación, ya que es el resultado de este y del complejo montaje de la cadena de suministros (Pellegrin & Leszczyńska, 2013). Para el sector turístico, el aumento de la oferta culinaria mejora la calidad de la comida, la flexibilidad de la preparación de alimentos, la eficiencia de las operaciones (de cocina), la calidad del servicio del comedor, el cumplimiento de las regulaciones y normas de servicio de alimentos, la reducción de mermas y el aumento de clientes (Albors et al., 2013). Por tanto, no es de extrañar hablar de innovación culinaria, concepto que ha sido desarrollado por chefs con estrellas Michelin o líderes de la innovación como Ferran Adrià. Dicha innovación se ha definido como un proceso experimental que implica dar una idea nueva que tiene como finalidad la resolución de un problema, idea que en un inicio posiblemente no esté bien estructurada, pero que a través del tiempo, el trabajo en equipo, el aprendizaje y la difusión se va fortaleciendo. Asimismo, se considera que la innovación producida desde una cocina impulsa la transformación del conocimiento tácito en ventajas competitivas únicas para los cocineros, destacando la importancia del aprendizaje en este contexto (Albors et al., 2013). •comercialización (Ottenbacher & Harrington, 2008a; Ottenbacher & Harrington, 2008b). Por otra parte, en el proceso antes mencionado se ha reconocido que los factores contextuales (institucionales, organizacionales y socio-culturales) influyen significativamente en la interacción de las decisiones estratégicas, estilos de liderazgo y capacidades de innovación (Ottenbacher & Harrington, 2009; Ottenbacher y Harrington, 2008b). Esta situación hace que la innovación de un producto deje de pasar de un simple proceso operacional a uno más complejo que implica analizar las interacciones sociales, culturales e institucionales existentes en el medio donde la empresa restaurantera ofrece sus servicios. La innovación en los procesos depende de las rutinas internas de la empresa, donde la organización permanente de grupos de trabajo y la experimentación en los procedimientos deben conferir más autonomía en la toma de decisiones de los directivos (Martínez, Tamayo, Gamero & Romero, 2015). Cabe señalar que la innovación en procesos se distingue del proceso de innovación, mientras que la primera está relacionada en brindar un servicio o mejorar el circuito operacional de una empresa, el segundo integra elementos tecnológicos para realizar cualquier tipo de innovación (Barbosa & Dominique, 2012). Algunos, ejemplos de innovaciones de proceso en restaurantes incluyen la cocción al vacío, secado al vacío de productos, infusiones, tratamiento al vacío, la utilización de nitrógeno, etcétera (Albors et al., 2013). Por ello, se considera que la innovación de procesos pretende ser una opción para las empresas turísticas, al brindar una mayor complejidad y beneficios en un sector altamente competitivo (Damian & Suárez, 2015; Lu & Tseng, 2010). Por otra parte, tanto la innovación de productos como de procesos, se ven afectadas según el nivel de profundidad y amplitud de la participación de la empresa, es decir, el conocimiento (tácito y explícito) de los trabajadores, relaciones con los proveedores, y sugerencia de los clientes impactan en la forma de brindar el servicio y su concepto (Ottenbacher & Harrington, 2008b). Otras barreras son la falta de experiencia para crear o inventar algo, falta de tiempo y actitud para su desarrollo, financiamiento o apoyo externo, obstáculos legales, así como el perfil económico del cliente, que muchas veces no puede pagar por un nuevo servicio que exige un costo extra (Den Hertog, Gallouj & Segers, 2011). Lin, Chiu y Huang (2012) evidencian en su investigación que otro gran error de los establecimientos pequeños es imitar los patrones de funcionamiento de empresas de cadena o franquicias que tiene mayores recursos y protegen en su totalidad sus sistemas de innovación; ocasionando que las empresas imitadoras se enfrenten a brechas tecnológicas que darán lugar a la ineficiencia productiva. Por el contrario, es recomendable que las empresas pequeñas para innovar en productos y proceso construyan redes de aprendizaje para mejorar su desventaja, a través del intercambio de conocimientos. Otro tópico que abordan las investigaciones es sobre la innovación tecnológica, donde preponderan las Tecnologías de la Información y Comunicación (TIC) encaminadas a la promoción, distribución y comercialización de los productos turísticos. Tales estudios las dejan ver como una herramienta futura para la competitividad en un mercado turístico que requerirá del uso intensivo de tecnologías (Puccio & Grana, 2008). •seguridad al pagar electrónicamente por un paquete turístico (Găzdac, 2009). También, desde los estudios empíricos, se ha demostrado que el uso de diversas TIC tiene poco efecto sobre el nivel de competencia, así como en el aumento de la productividad, mientras que tienen un efecto positivo sobre el aumento de la cuota de mercado de las empresas; por tanto, su capacidad de llevar a las empresas de mercados locales a globales es potencial, al favorecer el lanzamiento de nuevos productos y en la mejora o introducción de nuevos procesos (Aramendia & Ollo, 2013). En grandes empresas las TIC tienen un uso más completo y con ello las estructuras de innovación son más formales y de mayor alcance, además favorecen las prácticas de trabajo y la gestión de recursos humanos. Por otra parte, la oferta de productos es radicalmente innovadora a través del uso de la Internet para las actividades de operación y comercialización que traen como beneficios el aumento de ingresos y la optimización de los recursos, sobre todo el humano, al incentivar la colaboración para innovar (Torrent, Ficapal, Boada & Vigil, 2015; Miltchev & Neykova, 2015). En empresas de menor tamaño, las TIC se destacan al producir un efecto positivo sobre innovaciones en procesos como la realización de planes de mejoramiento, la formalización de procedimientos y la incorporación de empleados en la generación de nuevas ideas (Torres & De la Fuente, 2011). Además, estas pequeñas empresas turísticas pueden ampliar sus horizontes al penetrar nuevos nichos de mercado ya que tienen la oportunidad para crear sus propias páginas web como marca, notando que este es el futuro de la comunicación de marketing a través de Internet que auxilia en el manejo de información, la creación de una imagen, la obtención de una respuesta directa y más aún en la creación de experiencias virtuales del producto (Gallouj & Leroux, 2011). Tal parece que la implementación de las TIC en las empresas turísticas ayuda a aumentar su capacidad de innovación comercial y de servicios. Asimismo, el turismo electrónico ha demostrado ser una herramienta crucial para el desarrollo de las pequeñas empresas (Gallouj & Leroux, 2011). El impacto de tales innovaciones tecnológicas dependerá, en general, no sólo por sus inventores, sino también por la creatividad de los usuarios potenciales de las nuevas tecnologías (Gallouj & Leroux, 2011); por ende, tanto turistas como gerentes de establecimientos turísticos están cada vez más interesados en la explotación de la aplicación de la innovación y las TIC para la creación de nuevos servicios que atiendan las demandas digitales de los consumidores o clientes tecnológicos (Farsani, Sadeghi, Shafiei & Sichani, 2015). Por consiguiente, el desarrollo de las TIC, especialmente la Internet y su aplicación en los negocios, permite establecer vínculos entre los proveedores de servicios turísticos y los consumidores, susceptibles de generar cambios que pueden afectar la estructura del sistema turístico de distribución (Berné, García, García & Múgica, 2011). Las TIC se convierten en herramientas diferenciadoras en las empresas restauranteras; se incide que los restaurantes al basar su servicio en la variedad de menús y calidad, es vital mantener los flujos de información y, en este sentido, las aplicaciones de negocios suelen facilitar la interacción con los clientes, proveedores, empleados (a través de la contratación electrónica), así como del ahorro de costos y eficiencia en los sistemas de información. Sin embargo, tales beneficios sólo se han encontrado en restaurantes de cadena y lujo, quienes a diferencia de los pequeños restaurantes, invierten en tecnologías de alta gama como estrategia para distinguirse en el mercado (Ruiz, Gil & Berenguer, 2014). Algunas TIC puestas a prueba que se han convertido en elementos atractivos y diferenciadores para los clientes, que otorgan calidad y vanguardia a las empresas empleadoras; entre estas tecnologías se encuentran las denominadas Near Field Communication (NFC), un tipo de tecnología inalámbrica que no requiere contacto físico y facilitan procesos y actividades tanto para los turistas como para los miembros de las organizaciones, entre estas actividades que se identifican recepciones, pago de servicios, viajes sin documentos físicos, guías turísticas, rastreo de establecimientos y eventos, cupones virtuales, tarjeras de fidelización, entre otras, que sólo requieren de un móvil. Tales tecnologías son acopladas y aceptadas con éxito en un número reducido de empresas, manifestando que se requiere un alto grado de especialización para su uso. Asimismo, las empresas que apuestan por este tipo de innovaciones, son percibidas por los clientes como vanguardistas, futuristas y realmente competitivas (Pesonen & Hoster, 2012). Velázquez y Vargas (2015b) señalan que las innovaciones tecnológicas tienen gran cabida en la hotelería, sus principales fuentes están en la vigilancia tecnológica y la inteligencia competitiva, herramientas fundamentales para la competitividad e innovación de las empresas -dada la velocidad de desarrollo y difusión de tecnologías y conocimiento a nivel mundial- ya que permiten a la organización recolectar, analizar y publicar información precisa de acuerdo a las necesidades de la empresa, permitiendo de esta manera el diseño de estrategias, el desarrollo de nuevos productos o servicios, así como la introducción o modificación de los procesos, entre otros. Así, la adopción de nuevas tecnologías en las empresas turísticas, no instituirá una ruptura substancial de la forma en la que éstas ofertan su servicio, sino que causará una evolución del modelo en el que actualmente operan. El conocimiento y su gestión son reconocidos como un activo estratégico que ofrece ventajas competitivas en las empresas. Los estudios de esta categoría sostienen que el turismo es un sector basado en el conocimiento debido a la reciente evolución de la información y el procesamiento, producción, transferencia e intercambio de conocimientos que han traído efectos en sus procesos de organización, operación e interacción (Yiu & Law, 2014). Sin embargo, la innovación no depende de la cantidad de conocimiento que circule, sino del uso que se haga de él, permitiendo así alcanzar altos niveles de competitividad (Ponce & Alabart, 2015). Otras investigaciones rescatan los elementos de la información y el conocimiento que provienen del personal, la tecnología, la clientela y del entorno, por ende, la gestión del conocimiento es el tratamiento de la información y conocimientos para convertirlos en capacidades a favor de la innovación y competitividad (Simaro, Tonelli & Carús, 2012; Nieves, Quintana & Osorio, 2014; Shaw & Williams, 2009). El nivel del conocimiento gestionado dentro la organización, las relaciones sociales externas y los esfuerzos para colaborar con personas, tienen influencia en los distintos tipos de innovación (producto, proceso y comercialización), esto implica que las empresas dirijan sus esfuerzos hacia la asimilación y resguardado del conocimiento para convertirlo en un capital (Nieves et al., 2014). Se ha reconocido que uno de los elementos que intervienen en la innovación es el capital intelectual, el cual se obtiene a través de la correcta gestión del conocimiento; su principal función es la generación de valor para las empresas turísticas (Monagas, 2012). Uno de estos capitales, es el humano que como recurso intangible, valioso, oculto y difícil de imitar, juega un papel importante en el logro de la innovación en las empresas de servicios no intensivas en tecnologías duras (Nieves et al., 2014; Rivero & Rastrollo, 2013). De esta manera, las empresas pueden tener más éxito en el desarrollo de innovaciones si invierten en capital humano y establecen sistemas que hagan posible la integración de los conocimientos de los diferentes miembros de la organización. Por otra parte, las relaciones con los especialistas, tales como consultores e investigadores, son una herramienta de gestión que los equipos de trabajo pueden usar para promover nuevas prácticas de gestión, procesos y estructuras (Nieves & Segarra, 2015). •la promoción de las empresas a economías de gran escala (Gökovalı & Avcı, 2012). Por su parte, la aplicación de la gestión del conocimiento en las áreas operativas como cocinas es escasa, pero hay evidencia para implementarla como elemento de innovación en el desarrollo de nuevas formas para hacer eficientes los procesos de producción, reducir los costos de operación, así como de desarrollar capacidades de los trabajadores para hacer explícito su propio conocimiento (tácito) a favor de la empresa (Ponce & Alabart, 2015). Ante esto, existe la necesidad de formar recursos humanos para gestionar recursos intangibles como el conocimiento, a través de las llamadas competencias basadas en perfiles tecnológicos y polivalentes (Cerezo & Guevara, 2015). Por otro lado, cuando hay una brecha de conocimiento entre los usuarios y proveedores, las agencias intermediarias tienden a desempeñar un papel importante para facilitar la absorción de conocimiento, especialmente en el caso de las PyMES. Así, los responsables políticos tendrán que evaluar no sólo el tipo de conocimiento disponible en el sistema de ciencia aplicable a este sector, sino también la relación de los organismos intermedios, e incluso la universidad en sí, con las empresas de la hospitalidad (Martínez et al., 2015). Una de las barreras que las empresas restauranteras enfrentan para llevar actividades de gestión del conocimiento y la tecnología son la obstinación al cambio, resistencia al uso de nuevas tecnologías y falta de motivación de los trabajadores, ocasionado que la empresa no utilice el conocimiento como un recurso que puede brindar oportunidades de competitividad (Perez, Leal, Barceló & León, 2013). De igual manera, existe una grave falta de colaboración e insuficiente transferencia de conocimientos de las universidades y centros de investigación que disminuye el efecto de apoyo a la innovación empresarial (Martínez et al., 2015). Además de esto, para el sector turístico existe influencia negativa para el registro de patentes y propiedad intelectual, aconsejando revisar el sistema legal de protección de los conocimientos aplicables a este sector ya que no puede ser considerado por igual con otros sectores (Martínez et al., 2015). Los estudios comprenden modelos integradores que buscan conjugar las características de los empresarios, la creación de redes, el desarrollo tecnológico y el cuidado del medio ambiente, para alcanzar la innovación empresarial como factor clave del éxito competitivo de las pequeñas y medianas empresas turísticas (Gomezelj, 2015). Al mismo tiempo, que atribuyen a la innovación como una capacidad para crear valor en los servicios prestados por las empresas, que se deduce en ingresos económicos y posicionamiento en el mercado. Empero, en ocasiones las percepciones de los clientes tienden a ser vagas y contradictorias, dificultando la toma de decisiones para efectuar cambios a favor de la innovación en los servicios turísticos. En consecuencia, los nuevos modelos de innovación empresarial han ofrecido discurrir a ciertos criterios para su seguimiento, evaluación y retroalimentación, tales como las capacidades de infraestructura, asimilación y transferencia del conocimiento, reingeniería de procesos, investigación de mercados, I+D y gestión tecnológica; ofreciendo mejorar el rendimiento, productividad y calidad en los servicios prestados, al mismo tiempo que reducen riesgos y costos de las operaciones (Tsenga, Lin, Lim & Teehankee, 2015). Por otro lado, los modelos provenientes de la industria alimenticia han sido adoptados por los restaurantes; no obstante, se han presentado algunas limitaciones entre el producto genérico, los procesos de innovación y su aplicabilidad "en tiempo real", demandando a los gerentes a buscar nuevas alternativas. Ante esta necesidad, se sugiere crear un modelo más orgánico de carácter interdisciplinario que integre la planificación de la acción estratégica, las consideraciones de mercadotecnia, la ciencia de los alimentos y las perspectivas de conocimiento culinario que logre una representación más fiel de la gestión y sus procesos (Ottenbacher & Harrington, 2008a). Por ejemplo, Eriksen (2015) ofrece un modelo para las pequeñas empresas de alimentos y turismo presentando una nueva forma de trabajar estratégicamente con la “experiencia de innovación”, es decir, se busca la motivación y cooperación de todos los miembros del grupo para generar, seleccionar y desarrollar nuevas ideas para la solución de problema, creación de nuevas formas de servicios, etcétera; además de encuadrar tales ideas con sus capacidades, ADN organizacional, mecanismos de medición y recursos disponibles para la factibilidad en su desarrollo. •la clasificación de las empresas con actividades de innovación similares. Ante la consideración de los aspectos anteriores, se pueden construir herramientas que ayuden a los gerentes en el seguimiento y evaluación de todo el proceso de innovación, por tanto, una empresa que actúa en tiempo y forma, podrá tomar el liderazgo a través de su capacidad de respuesta para innovar en el mercado (Krizaj, Brodnik & Bukovec, 2014). Por último, los modelos de evaluación remiten que el éxito del proceso de innovación de una empresa turística es influenciado por la estructura organizacional de la empresa, su tamaño, categoría del establecimiento, productividad, origen del capital e ingreso por habitación (Rodríguez & Brown, 2012). No obstante, la base de los modelos de innovación ha estado incluyendo componentes más significativos, no limitándose por las actividades empresariales tradicionales, sino que también buscan crear ventajas a partir del equilibro ambiental como el modelo de ecoinnovación para empresas de servicios, fundado a partir de las bases de la vigilancia tecnológica, cuya premisa manifiesta que las actividades de innovación pueden estar en armonía con el cuidado ambiental, logrando así, constituir una ventaja más de competitividad empresarial (Velázquez & Vargas, 2015b). La participación de México en la publicación de estudios en revistas de carácter internacional es reducida en comparación con otros países (España, Estados Unidos, Alemania, Eslovenia, entre otros) (Velázquez & Vargas, 2014, 2015a; Damian & Suárez, 2015; Perez et al., 2013; Rodríguez & Brown, 2012; Corona, Zágarra & Ruíz, 2015; Corona & Zágarra, 2014; Caro, Leyva & Vela, 2011). Con el fin de conocer la situación de innovación de las empresas turísticas mexicanas, se realizó una búsqueda adicional de investigaciones (del periodo de 2008 a 2015), encontrando otros 7 artículos publicados en revistas (arbitradas). Estos estudios, también han valorado la innovación como un factor de competitividad empresarial en hoteles, restaurantes y agencias de viajes; aunque también se identificó relación con otras variables: ventajas competitivas, cultura innovadora, clientes e investigación de mercados; en el que elementos de la gestión tecnológica sirvieron como indicadores de la variable de ventajas competitivas, del que hubo mayor significancia (Corona et al., 2015; Corona & Zágarra, 2014). Por otra parte, Rodríguez y Andrade (2011), a través de la construcción de tres indicadores que valoran la capacidad organizacional adquirida por empresas turísticas, evidencia que las innovaciones tecnológicas ayudan a generar innovaciones organizacionales, denotando el registro de patentes y su comercialización. Más adelante, los mismos autores proponen una valoración del proceso de innovación en establecimientos de hospedaje, donde nuevamente comprobaron que el uso de TIC fomentaba innovaciones organizacionales. También, se encontró una fuerte asociación entre la innovación y el tamaño y la categoría de los hoteles, siendo los más grandes y de mayor categoría los que mostraron más capacidades de innovaciones (Rodríguez & Andrade, 2012). En el sentido del uso estratégico de recursos tecnológicos, se destaca la necesidad de que los hoteles implementen las TIC como mecanismo estratégico para competir; debido a que proporcionan elementos necesarios para cambiar y mejorar la oferta, ajustar la demanda, obtener información de los clientes (perfiles), así como diseñar nuevos productos que mejoren su fidelidad para aumentar la rentabilidad. Cabe señalar que un factor determinante para la innovación es el personal, el cual debe estar capacitado y desarrollar habilidades para el uso idóneo de las TIC (Caro et al., 2011). Los estudios evidencian que las empresas mexicanas sobre todo las restauranteras, no están interesadas en ser innovadoras, o bien desconocen los beneficios de la innovación; por tanto, caen en prácticas poco favorables para mejorar su competitividad, tales como no desarrollar nuevos productos culinarios y servicios gastronómicos, no contar con una base de datos de proveedores actualizada (Ceballos, Narváez & Cuellar, 2011), no tomar en cuenta lo que hace su competencia y mucho menos generar estrategias de investigación de mercados para atraer nuevos clientes. En suma, hay un desconocimiento del mercado en el cual compiten, repercutiendo negativamente en sus índices de calidad, servicio y competitividad (Díaz, Tamayo & Cabral, 2011). Ante esto, los investigadores mexicanos incitan a la reflexión del abordaje de la innovación como un tema fundamental para la competitividad turística, la cual al desarrollarla y aplicarla se diferencia notablemente del sector industrial (Rodríguez, 2009; Rodríguez & Bedolla, 2010). De igual manera, han hallado una oportunidad para innovar a través de acciones pro-ambientales, que fortalezcan la competitividad del sector turístico a través de la gestión de recursos intangibles en sinergia con nuevas tecnologías para crear valor (Velázquez & Vargas, 2015b). Finalmente, para México la investigación sobre innovación en empresas turísticas representa un enorme desafío para incentivarla, desarrollarla y aplicada; y aún más, cuando la literatura sobre el tema es escasa; no obstante, esto no debería ser un motivo de desaliento, sino todo lo contrario, constituye una oportunidad de progreso para los involucrados (e.g. empresarios, investigadores, consultores, gestores públicos, futuros profesionistas, entre otros), con el fin de que aprovechen la situación, emprendan nuevas formas de innovación y sean reconocidos en el campo. 6. Conclusiones y futuras líneas de investigación: ¿Hacia dónde van? La innovación como un campo de estudio, ha sido objeto de investigación global, aunque sólo una pequeña cantidad aplicada al campo de las empresas turísticas. Después de la revisión de la literatura sobre innovación en el sector turístico empresarial, no sólo son notorios los conceptos teóricos, sino que hay evidencia empírica que demuestra la aplicación de innovación en sus diversas formas: organizacional, en productos y procesos, estrategias, tecnologías, conocimiento y modelos. La generalidad de los estudios son publicaciones anglosajonas que profundizan sobre los efectos de la innovación en las organizaciones y su competitividad. En ellas se expresa la preocupación de lograr empresas innovadoras, al considerarlas pilares fundamentales del desarrollo económico de una sociedad. Los temas más abordados son en torno a la innovación organizacional y estrategias de innovación; estos estudios se centran en las características internas y externas de las empresas para satisfacer las necesidades de la estructura organizacional así como del mercado. Desde esta óptica, las empresas del sector turístico se han caracterizado por tener como prioridad su estabilidad en el mercado mediante estrategias de comercialización y vinculación con otros entes. Llama la atención que la innovación como estrategia está vinculada con acciones pro-ambientales, que tienen por objetivo crear ventajas competitivas mediante el cuidado a la naturaleza, ofreciendo beneficios como la reducción de costos en insumos energéticos, ahorro de agua, y ser concebidas como empresas responsables con el medio ambiente, siendo esto último un atractivo para los clientes. Los estudios sobre innovaciones en productos y procesos tienen aplicación notoria en las empresas restauranteras, las cuales han ofrecido productos culinarios novedosos, que no sólo atraen a comensales, sino que dan un plus a la experiencia completa del turista. Las innovaciones están dadas por factores internos (conocimientos, habilidades, experiencia, equipo tecnológico, etcétera), y externos, destacando el contexto cultural, social y ambiental de la empresa. Entre las contribuciones que abordan la innovación tecnológica, se destacan las TIC como herramientas facilitadoras de la información para el desarrollo de ideas; señalando su importancia a futuro, donde el turismo como sector económico se centrará en el uso intensivo de tales tecnologías, por tanto, la formación en TIC es indispensable para el desarrollo de capacidades de los trabajadores y empresarios. El involucramiento de la gestión del conocimiento para generar innovación, muestra estudios que analizan que en la medida en que sea gestionado el conocimiento de una organización se tendrán mayores capacidades y activos intelectuales, los cuales impactarán en valor haciendo que las empresas generen únicas e inimitables ventajas competitivas. La categoría que hace alusión a modelos, es aún poco abordada; sin embargo, las aportaciones integran actividades innovadoras para el funcionamiento de los negocios bajo un enfoque orientado a generar ventajas competitivas, crear valor, aprovechar recursos intangibles, motivar el desarrollo de ideas e implementar acciones que no pongan en riesgo el entorno natural. •adquieren innovaciones de terceros, y si éstas se generan, se consideran débiles (Rodríguez & Bedolla, 2010). Con una visión diferente centrada en el cuidado ambiental, la competitividad del sector turístico se le atribuye a las capacidades de innovación (Velázquez & Vargas, 2015b), cuyo éxito depende del uso de recursos intangibles en sinergia con nuevas tecnologías para crear ventajas competitivas. La participación de los estudios latinoamericanos sobre innovación en turismo en revistas internacionales reconocidas por su calidad es reciente y escasa en comparación con otros países como España, Estados Unidos, Alemania o Eslovenia. En particular, hay una gran necesidad de investigación a largo plazo para México, quien cuenta con destinos turísticos demandados por clientes de talla internacional, y por ende, la innovación es un requisito obligado para alcanzar su competitividad. Con el propósito de descubrir y fortalecer las capacidades de innovación en empresas restauranteras, así como de realizar la prospectiva frente a los desafíos de falta de competitividad, se propone investigar las distintas fuentes de innovación que pueden tener las empresas de este giro, y que se involucran de manera directa con el sistema turístico. Varios son los estudios que plantean la cultura de innovación de las empresas, con la mira de incentivar el comportamiento innovador de los miembros de una organización; no obstante, también se requiere estudiar el rol de los empresarios y líderes en la promoción e involucramiento de dicha cultura dentro de las organizaciones. La innovación al proceder tanto de factores internos como externos, su estudio implica, hacer un análisis dual sobre el ambiente (interno y externo) de la organización, para así conocer las motivaciones y determinantes que contribuyen a innovar en una empresa turística. En este sentido, la competitividad y la inclusión de recursos tecnológicos de otros sectores se inscriben como temas emergentes para el desarrollo turístico. Es escasa la investigación que involucra la relación entre las pequeñas empresas turísticas con el gobierno, universidades y comunidad, con el fin de crear redes o ecosistemas de impulso a la innovación, así como de conocer los factores de colaboración que intervienen en la innovación y competitividad de una región (cuádruple hélice). Además, en estos estudios se pueden incluir las plataformas digitales como herramientas para la colaboración e intercambio de información, en el que los empresarios podrían beneficiarse de la información para mejorar sus prácticas de innovación, así como de buscar alianzas con posibles inversores y socios comerciales. Igualmente, se requiere del estudio de políticas públicas que fomenten la innovación en el sector turístico y en especial en las pequeñas empresas, con la intención de que tengan más oportunidades para desarrollar sus innovaciones, así como de protegerlas. Estas políticas debieran comprender aspectos de infraestructura, vinculación con otros sectores, así como de aspectos pro-ambientales. En los estudios examinados se observa de manera general, un bajo nivel de evidencia respecto a la vigilancia tecnológica y la inteligencia competitiva como herramienta para fomentar la innovación en las empresas turísticas, el contar con información valiosa para la toma de decisiones o generar propuestas metodológicas, aún no se han considerado en los estudios de este campo del conocimiento; sobre todo la identificación de las brechas de conocimiento entre lo que opera en el sector turístico y lo que existe en la base de patentes y propiedad intelectual. Por último, al observar una relación persistente entre innovación y tecnología, se propone la investigación en torno a la gestión tecnológica, que se alude como un campo interdisciplinario que se encarga de explicar y comprender el desarrollo del fenómeno innovador de las empresas, haciendo uso de los recursos tecnológicos, que no se encasillan sólo en artefactos físicos como máquinas, aparatos y utensilios, sino que contempla aquella tecnología intangible o blanda, que comprende conocimientos, habilidades y experiencias prácticas de las organizaciones, con el elemental propósito de potenciar la capacidad innovadora de las empresas e impulsar la competitividad de su región.